Eleventy apps. So far there’s been a Bill Divider, something I call Fallometer, Penguin In A Shopping Cart game, and weirdly a Pregnancy Wheel. The newest app is Bluetooth Mike. It allows you to take video with your iPhone while recording the audio from an connected bluetooth device. It’s in it’s beta. Get it here. The default video recording app provided with iOS doesn’t allow recording video from the device’s camera while taking audio from a bluetooth headphone, or headset. You want to do some trickier scenes? With Bluetooth Mike, you can record audio from the other side of the street, or the other side of a window, or whatever you imagine. Bluetooth Mike is in beta, but available to the general public. Get it here. Try it out and then come back to this site and give me any feedback. Bluetooth Mike allows you to use your connected Bluetooth device for audio, and if necessary set a delay correction while you record. Using Apple’s EarPods I’ve found that no delay needs to be set as the EarPods are simply fantastic. There is a simple button that lets you choose any connected audio device for recording, and one for choosing which camera you want to use. More info is available on the Penguin In A Shopping Cart page. You are standing on a bridge or cliff. It’s a long way down. But how high are you? Fallometer answers this question. Select the thing you will drop, and press START when you drop it, and STOP when it hits the ground. Fallometer will estimate how far it fell and how fast it was going when it hits the bottom. Fallometer takes into account air friction, and your position on earth. 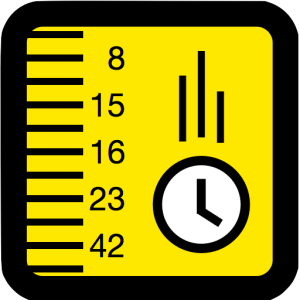 ‘Fall-o-meter’ can be used to estimate the height of a bridge, drop-off or cliff by timing how long it takes to drop something from a height. Just slide the date wheel around with your finger. It’s that easy. You can set it in seconds. It simply works like a real pregnancy wheel except that it is more accurate, factors in leap years, and no trees were cut down to make it. 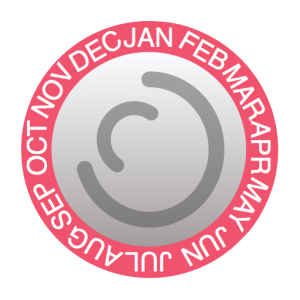 Other pregnancy wheels on the App Store are not actually wheels, and make you key in the dates. This one uses the touch interface to simulate a real pregnancy wheel and lets you set the date easily. Then you can play with the numbers and dates by sliding the wheel back and forth just like you might on a real wheel. This app keeps things simple and puts all the important data on one screen. Set the wheel based on LMP, CRL, BPD, or any date or measurement on the screen. Bill Divider can divide a bill between up to 10 people. Enter your bill line by line, then divide it across the columns using checkboxes.